This story, brimming with gentle humour, about Elias’ very first crush is dedicated to everyone who was terrified of their first kiss. It also addresses the theme of new beginnings for parents in modern blended families. Marika Maijala’s illustrations glow with summery warmth. 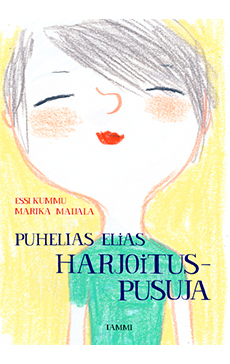 The Practice Kiss is Essi Kummu’s second book for children. It is an independent sequel to Chatty Elias (‘Puhelias Elias’), which was nominated for the Finlandia Junior award in 2012.